Sajid Rizvi. What has happened since africa95 in the world of African art? 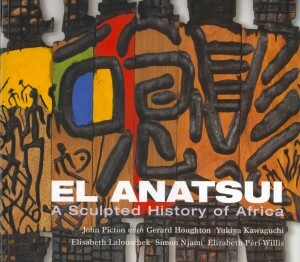 El Anatsui. Well, I think there has been an increase in the visibility of African art at some of the major world venues around us, like Venice, for instance. I remember when we first went there, in 1990. That was the first time that the so-called sub-Saharan African art was exhibited there. But, after 1995, almost every Venice Biennale edition has featured an aspect of African art. Documenta also has had quite an African presence although people think that there could have been more, judging from the activity that has been generated in more recent years. SR. Is it now easier for an African artist to go to the so-called mainstream galleries and suggest shows? EA. It is easier, certainly, with more African artists being shown at western oriented galleries around the world. Yes. SR. Do you feel that African artists are now more attuned to the expectations of collectors and the mainstream commercial galleries than before, or are they still free to create as they wish? EA. Maybe I can answer that with respect to myself. I am not into the expectations of collectors in any way, because basically I work with things that are thrown up around me. That’s what I have done for a long time and will continue doing. If there is, maybe, an upsurge in sales or in people wishing to acquire my work, then it is because of my kind of work having appealed to their sensibilities rather than their sensibilities dictating what I do. SR. More than a decade has passed since africa95. After Arican art began to be shown in events such as africa95, African artists’ work, such as that of your own, has also played an educating role. It has informed audiences of what is going on, up to a considerable point, on the continent. EA. Yes, very much so. SR. When you first started exhibiting and experiencing the gallery system in the context of africa95 what was your sense at that time: what did you feel the people, the audiences and the gallery owners expected from you and how did they convey those expectations? 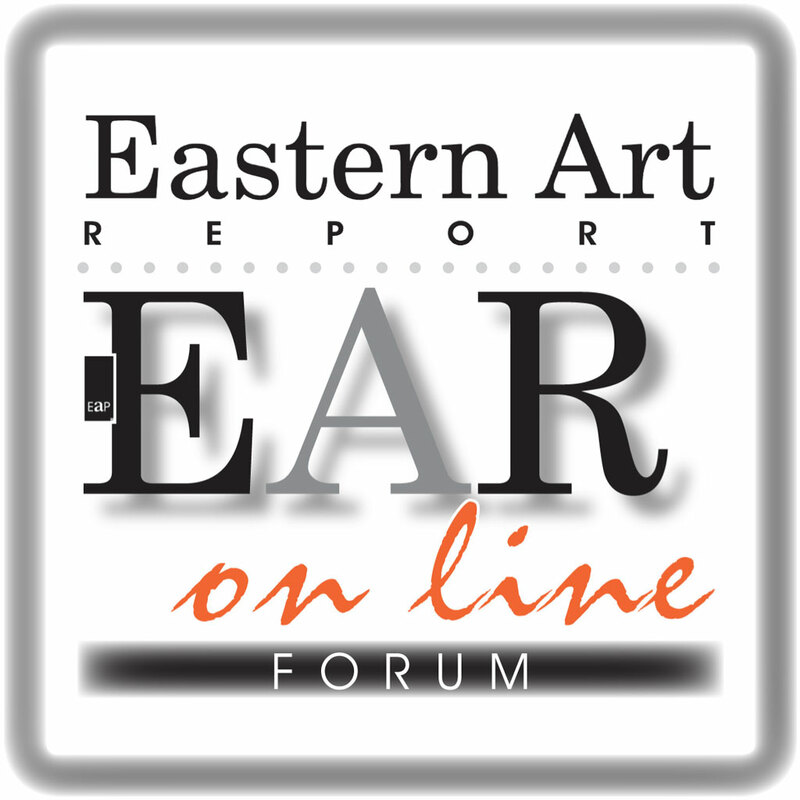 What was their reaction generally to African art and specifically to your work and how did they articulate that? And how has that changed over the past 10 years? EA. I do not know. Maybe that question is best answered by the gallery people. I would not know what they feel or think. SR. But, in the sense that the work that you showed during that period drew people towards it and the people in turn reacted to it? Maybe some of them expressed themselves in visitors’ books and the like. What was the main thrust of what was said to you at that time and how was that different from what is the case now? Many people were not used to the way you created your work, for example. EA. Okay. Nobody comes if they don’t like your work and if they don’t like your work they usually do not talk about it. SR. But there are those who do like your ways of working and are fascinated by it. Surely they have had something to say? EA. There are words which have lost meaning — like “That was great.” So I would not know what exactly they would mean. SR. What about those who comment on the technique or the end result? EA. Yes, a few of them mention the process. People normally would ask, “How did you get this. Did you do it all?” So, maybe their concern is or their emphasis may be on the process or the processes that I use. SR. What do you think needs to be done in the context of African art on the African continent itself? EA. I think there have to be more shows on the continent itself. Because what is happening is that there are more shows of African art outside Africa than in Africa itself. Take my own case. Since 1995 I have had only one one-man show in Africa. I have been taking part in group shows but have had just one individual show in Africa in 10 years. That is horrible. I think that I should be able to show more of my new work. I have not shown any of the new works that I am doing now in Africa. SR. Where was that individual show? EA. That was in Lagos, in 1997 or so. SR. I know that you also inspire a lot of African artists, which is almost performing the role informally of an educator. EA. Which is what I am and that’s what I do professionally. SR. So, from that perspective, what do you think needs to be done on the continent and who should be doing it, to promote and to sustain African art on the African continent itself? EA. I think the artists themselves, from my own standpoint, should be doing that. Artists should be allowed to challenge and air their views in public. They have to come up with works which are challenging. Because what is happening now on the continent is that most exhibitions are organised by commercial galleries. I am talking with respect to Lagos or Nigeria as a whole, where commercial galleries dominate the scene and therefore do not take chances. They would not want to rock any boat. Artists themselves have to be able to have shows which are questioning and challenging. That is a way of reshaping or reawakening the interest of the public in their work. SR. And also on the other side: what should be done to enable more people to come to those shows, to visit the museums and galleries and to see new work that is being created? EA. The first thing would be that the artists’ works themselves should be able to draw the audiences. I think that should be the most important one. I don’t know anything else that can be done from that point. If we are able to build a very strong and responsive audience then we can make a case for major, national exhibition spaces. But if you don’t create the audience, then it becomes a difficult thing. SR. In terms of your most recent work that is now in this October Gallery show, what are the main driving forces that inspire you to create this wonderful range of work? EA. I think the leitmotif that has run through my work so far is this –a cloth (made from bottle tops: SR) which I have done a lot of work on for this show. A cloth has a lot of eloquence for people, not only in Africa but in so many other cultures of the world. So I continue to use it and to drag whatever message or idea I can out of it. This particular cloth is made with bottle tops because I remember that when Europeans, for instance, came to Africa; one of the items they brought with them — drink — was the initial point of contact between us — gin, brandy, schnapps, etc. So, working with these bottle tops, I seem to feel like making a link or revisiting that point of contact between Europe and Africa. Incidentally, I have shown this work only in Europe so far. I don’t know what reception it would receive in Africa. It should have a good reception if people have an idea of the import of the material that is used. When I first showed it in 2002 the first two pieces were collected by the British Museum which, I think, is a very useful and important way of having my work collected. The British Museum has a lot of works from all parts of the world. People do visit there and it is good for this kind of work to be there in order to reinforce the message that I have already mentioned. SR. Should the viewer be seeing some references to the state we are in today in the world at large? The world has changed so much in the last ten years. The world today, in 2005, is so different from the world as it was in 1995. SR. Should a viewer who experiences your work now be seeing metaphors or references to the world we are in today? Not only the very important message that you have there, of the history of the interaction between Africa and Europe over the years, but also some idea or reference to the state we are in today? EA. I think they should be able to. In fact, some of my titles do reference to the state of the world that we are in. Like the cloth with the dominant red coloration that has a title, which itself is telltale; the title is A Flag for a New World. That is a reference to violence and all kinds of things which are commonplace in the world now. © Sajid Rizvi.